I’m intrigued by Key’s new hair. 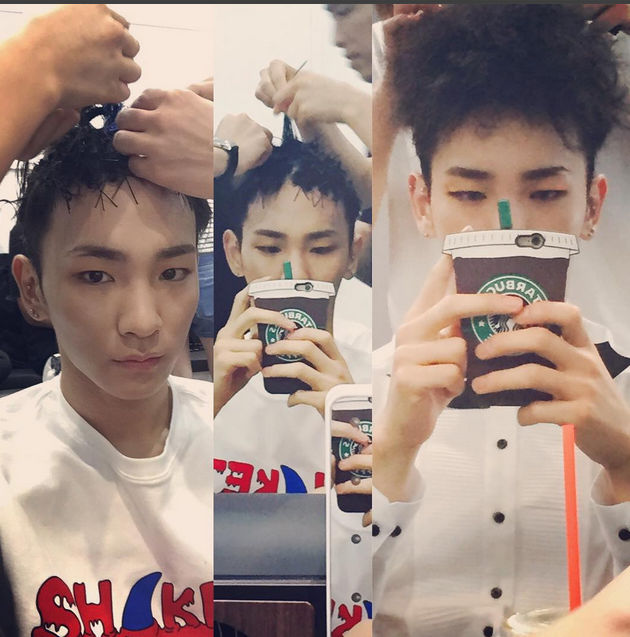 Key recently took fans step-by-step on his hair journey for SHINee‘s “Married to the Music” concept. The lovable K-Pop singer shared a photo collage via Instagram of his transforming hairstyle for August. His cute Starbucks phone case is a showstopper too. Who knew someone could take a selfie with a coffee cup? All rights to the image and quote belongs to Kim Ki Bum. This entry was posted in Entertainment, Music, News and tagged 키, 샤이니, Key, kim ki bum, SHINee. Bookmark the permalink.